On Tuesday night I attended an exclusive screening of the Oscar-winning movie The Artist, as a Guest of Nuffnang (please click on their ads here on the this site…) and RoadshowAU. Starring Jean Dujardin, below. 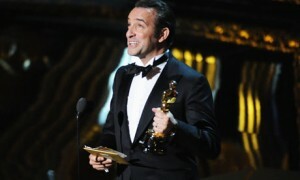 ‘The Artist‘ won at the 2012 5 Oscars a total of 5 statues, including best picture, best director and the best actor, Jean Dujardin. 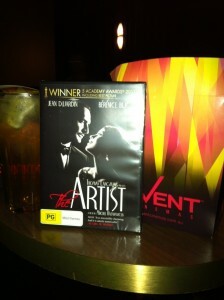 We have ONE DVD of this movie The Artist to GIVEAWAY. be creative…be an Artist…after-all this IS a creative film. PreviousThis other Eden,this realm, this England. This is one of my favorite movies I’ve ever seen. Why you ask? Because the movie is nothing but pure joy, infusing happiness and joy into my soul. I was smiling about it for days after I saw it. I must have this movie for my very own so I can have joy whenever I need it! Hey Julie K, you are in with a chance. I think I should win this for my mum because I owe her. I owe her for being her flawed daughter she has put up with for so long. She thinks I talk too much, especially during movies so if I win her this one, we can both watch in silence.